(ii) Code of practice, guidelines, rules policies, releases or standards issued by relevant regulators, government authorities, or industry bodies, whether or not having the force of law, which are applicable to the System or the Installation Works and any other obligation to be performed by either party under these Terms. (o) In addition to the manufacturers system warranty, Sunstainable provides a whole of system warranty for five (5) years from the date of installation. The only terms in connection with the supply of the System and Installation Works by us which are binding on us are either set out in these Terms, the Order, the Warranty, as otherwise agreed to in writing by us, together with those, if any, which are imposed by law and cannot be excluded. will be free from fault or defect for a period of 5 years commencing on the date the System is installed (Guarantee Period), and we will repair any such default or defect notified to us within the Guarantee Period, including by replacing all or part of the System where necessary, within a reasonable timeframe at no cost to you. v. the System being repaired, modified, reinstalled or repositioned by anyone other than a CEC accredited service technician. Only qualified, skilled and experienced technicians approved and accredited by the Clean Energy Council may work on the system. although these other guarantees and warranties may not cover labour costs, travel costs and delivery costs arising from a claim under these other guarantees and warranties. We will notify you if this is the case, and tell you the costs payable. The costs will be payable in advance. 3.4 During the Guarantee Period, we will provide reasonable assistance to you in making any guarantee or warranty claim against the manufacturer of the System, including by acting as your liaison with the manufacturer. 4.1 Any Quote we issue to you is not an offer or obligation to sell but an invitation to treat only. A Quote is valid and open for acceptance for a period of 14 calendar days from the date of the Quote and thereafter is expressly withdrawn and is of no effect. 4.2 A Quote is only valid if the installation of the System at the Premises is eligible for an STC, and is made on the basis of the condition of the Premises as reasonably apparent upon an external visual inspection. 4.3 We may amend or withdraw the Quote at any time during the Quote Validity Period if there is any change in any legislation (including the Renewable Energy Laws), which has or may have an effect on the commercial viability of the pricing of the Quote, or in the event that we become aw are of a Latent Condition. Any amendment made to the Quote does not restart the Quote Validity Period. 5.1 An Order is made by you by signing the Quote and returning it to us in accordance with the instructions noted on the Quote and Terms and Conditions attached to the quote and is subject to acceptance by us. We reserve the right to accept or reject an Order in our absolute discretion. Once the Order has been accepted, we reserve the right to cancel the Order in the event we become aware of a Latent Condition. 5.2 In the event that an accepted Order is subject to any condition precedent, you must ensure that such conditions precedents are fulfilled in a timely manner. In the event that your failure to promptly fulfil a condition precedent results in a significantly delay in our ability to provide the System or Installation Services, we may at our discretion cancel the Order and reissue a new Quote with amended Pricing to reasonably reflect any increase in our cost of providing the System or the Installation Services. 5.3 A cooling off period is only applicable when the customer did not initiate the sales contact. Where the customer made contact with Sunstainable either via phone, email, social media or the website a cooling off period does not apply. Where the terms of a cooling off period are met, the specified cooling off period is 10 days. 6.1 Subject to clause 5.2, unless we otherwise agree in writing, the price payable by you for the System and Installation Works is the price stated on the Order (Price). 6.2 Prices are inclusive of GST. (b) we become aware of a Latent Condition, in which circumstances you may choose to cancel the Order. (c) all prices are in Australian (AUD) currency. to cover any new or increased cost in selling and installing the System under this agreement. (f) we give you written notice of the increase at least one week before the Target Date set out in the Quote. 7.3 If we give you notice of a price increase and you prefer to end this agreement rather than accept the price increase, you can end the agreement in accordance with clause 21. Before the Target Date set out in the Quote. 7.5 If we send you notice of a price increase and you do not end this agreement by the relevant date, you will be taken to have agreed to the price increase. 8.1 A 10% deposit on the cost of the system is required towards confirmation of the order. The balance is payable on the day of the install by way of credit card or EFT in accordance with, the relevant provisions in the Order. Time for payment is of the essence of these Terms and you are not entitled to assert any credit, set-off or counterclaim against us in order to justify withholding payment of any such amount in whole or in part. 8.2 If you fail to pay to us the Price in accordance with these Terms, you will be liable to pay us any costs and expenses we incur in taking steps to recover payment of the unpaid Price (including any legal costs associated with taking such steps); and interest on the unpaid price at a rate of 25% per annum. 8.2 When paying via credit card, a surcharge of 1.75% is charged and added to the invoice. The Australian Consumer Law gives consumers who enter into an unsolicited contract, the right to cancel the contract within a ‘cooling-off’ period. Contracts which have been initiated by a service provider over the phone such as a telemarketing call or at a location other than the provider’s place of business (for example, a door-to-door sale or being approached in a public place such as a shopping centre) are generally subject to a cooling-off period. Cooling-off periods do not apply where a consumer visits a provider’s store, calls to request a service or orders a service online. The purpose of a cooling-off period is to protect a consumer from being bound by an unsolicited contract that does not fit their needs, by giving them time to reassess and cancel the contract if necessary. • for sales made over the phone: the day after a consumer receives a written copy of the contract. • for sales made in person: the day after the agreement is made. The consumer can cancel the contract for any reason during the 10 business days. The consumer needs to take note of how they can cancel the contract, which sometimes involves mailing a written cancellation letter to the provider. 9.2 Refunds will only be granted where cancellation occurs within the cooling off period or when the contract is cancelled by Sunstainable. 10.1 We will contact you to arrange a suitable time for a pre-installation site inspection (if we deem a pre-site inspection necessary) (Pre-Installation Inspection) and/or for the installation of the System at the Premises (Installation Date). 10.2 Should there be any significant changes to the design of the PV system, including the estimated performance, we will consult with the customer and attain approval for the change in design prior to proceeding with the installation. In the event of the changes not being acceptable to the customer, a full refund will be offered if the installation cannot proceed. 10.2 The Installation Date is an approximate date only. The Delivery of solar panels for installation is within 14-28 days from the date of confirmation of a customers order. We will use our best endeavours to deliver the System and carry out the Installation Works by the Installation Date but any such date is an estimate only. Time is not of the essence for performance of the Installation Works. 10.3 You acknowledge that certain elements of the Installation Works may be carried out before or after the Installation Date (including pre-installation wiring work and post-installation commissioning of the System). To the maximum extent permitted by law, we will not be liable for any delay in the delivery or installation of any part of the System, howsoever caused. 10.4 You or your nominee must be present at the Premises during the time arranged for the Pre-installation Inspection and while the Installation Works are carried out. We reserve the right to charge you a $500 call out fee if you are not at home at either of those times. 11.1 You must give us, together with any vehicle or equipment, safe, convenient and unhindered access to sufficient parts of the Premises (including the meter box, switchboard, proposed inverter location and the roof where the System is to be mounted) to enable us to perform the Installation Works and carry out our obligations under these Terms. 11.2 You warrant that at all relevant times you have the ability and authority to grant the right of access, and acknowledge that we have relied on the warranty in this clause in agreeing to supply the System and the Installation Works. 11.3 If the condition of the Premises has changed subsequent to the Pre-Installation Inspection and this change results in the Premises being unsuitable for the System and/or the Installation Works, we may amend or cancel the Order and charge a $500 call-out fee in respect of subsequent call-outs. 11.4 We will not be liable for any loss or damage (including liability for death or injury to persons and loss of or damage to property) caused, either directly or indirectly, by the conditions and physical characteristics of the Premises. 11.5 We will, in the course of carrying out the Installation Works: take reasonable measures necessary to protect people and property at the Premises; avoid unnecessary interference with the passage of people and vehicles at the Premises; and prevent nuisance and unreasonable noise and disturbance. If we damage property at the Premises, we will promptly rectify the damage and pay any compensation, which the law requires us to pay. 12.1 We will perform the Installation Works in accordance with the Order in all material respects. We have the right to make any changes to the Installation Works which are necessary to comply with any applicable law or safety requirement, or which do not materially affect the nature or quality of the Installation Works and we will notify you in any such event. (f) provision of instructions on the basic operation of the System. (g) Sunstainable guarantees that substitute materials will not be used without the prior written consent of the customer. (s) work for dedicated controlled loads (including dedicated slab heating, hot water or climate saver tariffs) to be re-wired into a single phase and single element meter configuration prior to a solar meter being installed. We will keep the areas of the Premises that we access to perform the Installation Works clean and tidy and we will remove rubbish and surplus material created by our performance of the Installation Works. If we fail to comply with our obligations in this, you may notify us in writing specifying the noncompliance and we must rectify that non-compliance as soon as reasonably practicable. 15.1 Before the Installation Works commence, we will advise you of any additional services and/or items and their cost that are not included in the System or the Installation Works but are required to perform the Installation Works (Additional Services and/or Items). 15.2 If we advise you of Additional Services and/or Items that are required to complete the Installation, we will also advise you of the cost of such Additional Service and/or Items. You may elect to enter into an agreement with us (or another entity) for these Additional Services and/or Items. 15.3 In the event that a Latent Condition becomes apparent following commencement of the Installation Works, we may advise you of Additional Services that are required to rectify the Latent Condition. In the event that you choose to rectify the Latent Condition yourself we may charge a $500 call-out fee in respect of subsequent call-outs resulting from the Latent Condition (such fee to be waived in the event that rectification occurs within 5 working days). We may require special access equipment to lift or move solar panels to the desired location for installation and/or to install solar panels w here the roof pitch is between 30 to 45 degrees. This may include boom lifts, cherry pickers, cranes or scaffolding. We will advise you of any additional costs for this equipment in our Quote. 17.1 You must inform us of any conditions or physical characteristics of the Premises, including Latent Conditions, which would preclude, or have any adverse affect on, the carrying out of the Installation Works or pose any threat to those carrying out the Installation Works. 17.2 You are required to obtain all relevant approvals, consents and permits prior to the installation of the System from the local council/planning authority and, if applicable, your body corporate or landlord and in accordance with any other Legislative Requirement having jurisdiction over the Premises. 17.3 It is your responsibility to ensure that the roof area at the Premises w here the System is to be installed (Roof Area) is safe and suitable for the installation of the System and the provision of the Installation Works. 17.4 You must ensure that the Premises comply with relevant electricity standards prior to the installation of the System. In the event the Premises do not comply, you are required to ensure that a qualified electrician completes all necessary work. 17.5 If any trenching or excavation work is required for the installation of the System, you must arrange for it to be completed before the Installation Works commence. (d) for new homes, installations of a System can only take place once the Premises have reached Lock-up Stage. We will only install the System on an out-building, that is, a building on the Premises, which is disconnected from the main dwelling (such as a shed, carport, garage or other external structure) if: a compliant switchboard is installed; electrical cables are not exposed or overhanging between the outbuilding and the Premises; and necessary electrical upgrades have taken place. Ownership of the System passes to you on the date full payment for the System and we receive Installation Works from you in cleared funds. Risk of loss or damage to the System passes to you upon delivery of the System to the Premises, and from that date, the System will be your sole responsibility. You will take all reasonable steps to ensure that the System is placed and stored in a secure location from the date it is delivered to the Premises. 20.1 Renewable Energy Certificates (RECs) are an electronic form of currency created by the Renewable Energy (Electricity) Act 2000 (also known as the RET scheme). One REC is equivalent to one megawatt hour of electricity generated by your solar PV power system. The price of RECs changes according to market conditions. As an owner of a solar PV power system, you can register, sell, trade or surrender RECs for systems up to 100kW. 2. Create the RECs yourself by finding a buyer and then selling and transferring them in the REC Registry. 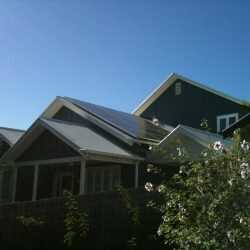 RECs may be created for solar PV systems in batches of either one, five or 15 year deeming periods. At the beginning of each successive one or five year deeming period, the Regulator (from the Office of the Renewable Energy Regulator) must be satisfied that your solar PV system is still installed and is likely to remain functional for the next deeming period. In order to claim RECs for the full 15 year deeming period upfront – which is the most common option – your designer/installer must be accredited by the Clean Energy Coucil. More information is available in the RET process for Owners of Small Generation Units (SGUs) guide published by the Office of the Renewable Energy Regulator. The level of subsidy will depend on a number of factors, including the location (also known as the zone) of the solar PV system, the size of the system and the price of RECs at the time the system was installed. 20.2 An STC is a financial incentive, not a rebate, and consumers will not qualify for any government-based financial recompense at the completion of the STC creation process. 20.3 Ownership of, and any and all rights and interest in, any STCs that are or may be created by anything done (or omitted to be done) under or connection with the supply of the System and /or provision of the Installation Works (Sunstainable STCs) will vest in us. You acknowledge that you have no entitlement to any interest in, or benefits derived from, any Sunstainable STCs, and that the Price has been offered on this basis. 20.4 You must promptly do all things necessary or required by us to assign or transfer the rights to any Sunstainable STCs to us, or our nominee. 20.5 If you fail to comply with your obligations under this clause, you must pay to us the market value of the Sunstainable STCs as at the date of creation of those Sunstainable STCs. 20.6 In the event that anything done (or omitted to be done) under or in connection with the supply of the System and /or provision of the Installation Works creates any financial or other benefit or right as a result of the introduction of any Future Energy and Renewables Policys, then to the extent possible at law any such benefit or right will vest in us. Your obligations under this clause extend to any such financial or other benefit or right. (e) where for any reason STCs are not created in connection with these Terms or where for any reason we are not entitled to the full and unencumbered benefit of the Sunstainable STCs. (b) at any time by mutual agreement in writing. 21.3 In the event that we terminate these Terms, you will be entitled to a refund of any money you have paid to us and title in, and ownership of, the System will immediately transfer to us upon termination and we may at any time remove the System (and any other goods belonging to us) from the Premises. You agree to grant us all necessary access to enable us to exercise our rights. We may collect your personal information where it is relevant to one or more of our activities, including products and services we acquire from suppliers and products and services that we offer to customers. We will only use and disclose your personal information in accordance with the Privacy Act 1988 (Cth). For further details, refer to our Privacy and Security Policy. 23.1 A reference to a term defined or used in A New Tax System (Goods and Services Tax) Act 1999 is, unless the context indicates otherwise, a reference to that term as defined or used in that Act. 23.2 Unless GST is expressly excluded, the price payable for any supply made under or in connection with these Terms includes GST. 23.3 Each party agrees to do all things, including providing tax invoices and other documentation that may be necessary to enable the other party to claim any input tax credit, adjustment or refund in relation to any amount of GST paid or payable. 24.1 Notwithstanding any other provision in these Terms, if there are any inconsistencies between an Order, a Quote, any record of any other agreement you may have with these Terms, or us the provisions of [these Terms] prevail to the extent of the inconsistency. 24.2 The law of the State or Territory in which the Installation Works are to be performed governs these Terms and the parties submit to the nonexclusive jurisdiction of the courts of that state. 24.3 Any variation of these Terms (except w here the variation is contained in the Order) must be in writing and signed by us. 24.4 These Terms, the Warranty and the Order constitute the entire agreement between you and us for the supply of the System and the Installation Works. 24.5 Part or all of any provision of these Terms that is illegal or unenforceable may be severed from these Terms and the remaining provisions of these Terms continue in force. (a) For the purposes of these Terms, Force Majeure Event means an event beyond our reasonable control including but not limited to strikes, lock-outs or other industrial disputes (whether involving the workforce of the Supplier or any other party), failure of a utility service or transport network, act of God, war riot, civil commotion, malicious damage, compliance with any law or governmental order, rule, regulation or direction, accident, breakdown of plant and machinery, fire, flood, storm or default of suppliers or subcontractors. (b) We are not liable to you as a result of any delay or failure to perform our obligations under these Terms as a result of a Force Majeure Event. (c) If the Force Majeure Event prevents us from providing the System or the Installation Works for more than 12 weeks, we shall, without limiting our other rights or remedies, have the right to terminate these Terms immediately by giving written notice to you. 24.7 You must not assign your rights under these Terms without our prior written consent of which we may withhold in our sole discretion. We may assign our rights and obligations under these Terms at any time without your prior written consent. 24.8 A party’s failure or delay to exercise a power or right does not operate as a waiver of that power or right. The exercise of a power or right does not preclude either its exercise in the future or the exercise of any other power or right. A waiver is not effective unless it is in writing. Waiver of a power or right is effective only in respect of the specific instance to which it relates and for the specific purpose for which it is given. 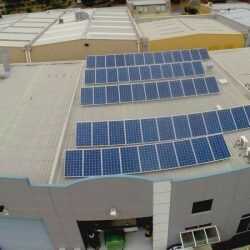 24.9 Sunstainable complies with the Clean Energy Council Solar Retailer Code of Conduct. 2. Once the Service has been purchased from Sunstainable’s online store, a confirmation email will be sent with our Terms & Conditions attached. 3. All cancellations must be made via email no less than 24 hours prior to the scheduled appointment. 4. Upon arrival our technical will assess the premises and system to ensure that it is within the specified parameters stated for this service. 5. Should your system and/or premises not meet the specifications stated for this service, work will not commence. 6. An additional fee will be quoted for systems and/or premises that are outside of the specifications. 7. Call out fee will be payable should the service not go ahead due if you choose not to accept the variation to the service in the amount of 50% of the service fee. 8. A 100% refund will be given for services that are cancelled more than 24 hours prior to service. 9. Technicians will carefully wash each of your solar panels. 10. The system will be tested to ensure it is working at its optimal level. 11. A status report will be provided.